In corporate America, it is common for businesses to down-size or up-size and in either case firms need to recycle office furniture. For those firms that are considering office furniture liquidation this also helps rid office furniture that is not required. Clear Choice Office Solutions is Houston’s top office furniture removal provider. It is a family-owned business that has built a good reputation with corporate bodies within Houston and other regions. One of the major challenges that firms face while disposing office furniture, is doing this in a way that is environmentally friendly. It is also quite a challenge to sell office furniture if it is not in a good working condition. Furthermore, it is challenging to recycle due to the various materials used in making furniture; plastic, wood, and metal. An expert can only understand how to handle all these. There are lots of benefits when you handover your office furniture removal to an expert. First off, you have a peace of mind since the expert clearly understands how to carry out the office furniture disposal. Secondly, a certified firm will help you get a “Certificate of Insurance” prior to the operation. This will ensure a smooth operation during the day the process is carried out. The tax benefit is also another major benefit that a firm enjoys when they hire an expert to dispose off their office furniture or used cubicles. The office removal expert will donate the furniture then issue the company with a tax deductable donation receipt. There is also a high possibility that your pre-owned cubicles and office furniture will receive a second life since the office removal providers have partnered with thrift stores and local charities. Finally, for furniture that is in poor condition and cannot be donated, it is recycled and if it cannot be recycled it is taken to the landfill as a last resort. including guest chairs, executive chairs, and many others. Break room and training tables. Make and Stick to a Reasonable Budget-it is imperative that you prepare a budget prior to the removal. Prepare a list of all possible expenses such as; hotel stays, packing supplies, takeaway foods, fuel, professional movers, and many others. You should also set aside some cash for miscellaneous expenses. Hire Professionals-compile a list of furniture removal firms and interview several of them then get quotes. Once this is done try to compare the various firms then choose an expert that best meets your company needs. A furniture remover will charge its moving expenses depending on various factors; volume or number of material, time of the year, and the distance between the two locations. It is always costly to move during peak times such as holidays, summer, and weekends. You should also be careful when considering the quotes from various providers; a lower price estimate does not always mean you got the best arrangement. Employ Affordable Packing Methods and Supplies-there are plenty of ways to avoid unnecessary expenses when moving office furniture; you can handle the packing and unpacking yourself, get free boxes for packing from family members, friends or your local supermarket. Reduce Travel Weight-furniture removers charge clients based on the volume of their possession. Therefore, to avoid being charged more money, consider reducing the volume of items to be moved. If possible, get rid of unnecessary items through garage sales or even donate to a charity. Notify Interested Parties of Your Move-inform your customers, local government service providers, partners, and any other interested party in advance about the change. One of the best ways to do this is by including a sticker on every letter at least a month before the move. Receptionists can also inform clients and your website should also have some alerts on the change of location. 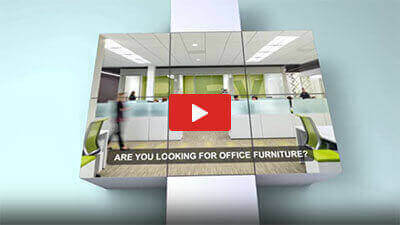 Why Choose Clear Choice Office Solutions? For all your office furniture liquidation and furniture recycling needs, Clear Choice Office Solutions is there for you. It has helped literally dozens of firms dispose used furniture within Houston and beyond. Clear Choice is committed to reducing the number of trash that end up in the landfills each year. At Clear Choice, its staff has been trained on how to sort out various items. They understand items that can be recycled or donated to charity, as well as those that are treated as trash. Apart from these, Clear Choice Office Solutions is a fully-licensed, insured, and bonded organization. The clients are therefore well protected. By choosing Clear Choice, clients will also enjoy the benefit of getting tax deductable receipts as well as recycling reports that are crucial in boosting the company’s reputation. Few removers will give you this benefit. You will also enjoy low upfront pricing with no hidden charges. Office furniture removal is a daunting task and for you to have a peace of mind during the entire process you have to hire a reliable office furniture removal professional. You can rely on Clear Choice Office Solutions for all your office furniture removal needs since it is Houston’s leading provider. Clear Choice will recycle office furniture and also handle office furniture liquidation. If you also need new or used cubicles look no further since Clear Choice Office Solutions supply them as well. To get more information, visit https://clearchoiceos.com/.